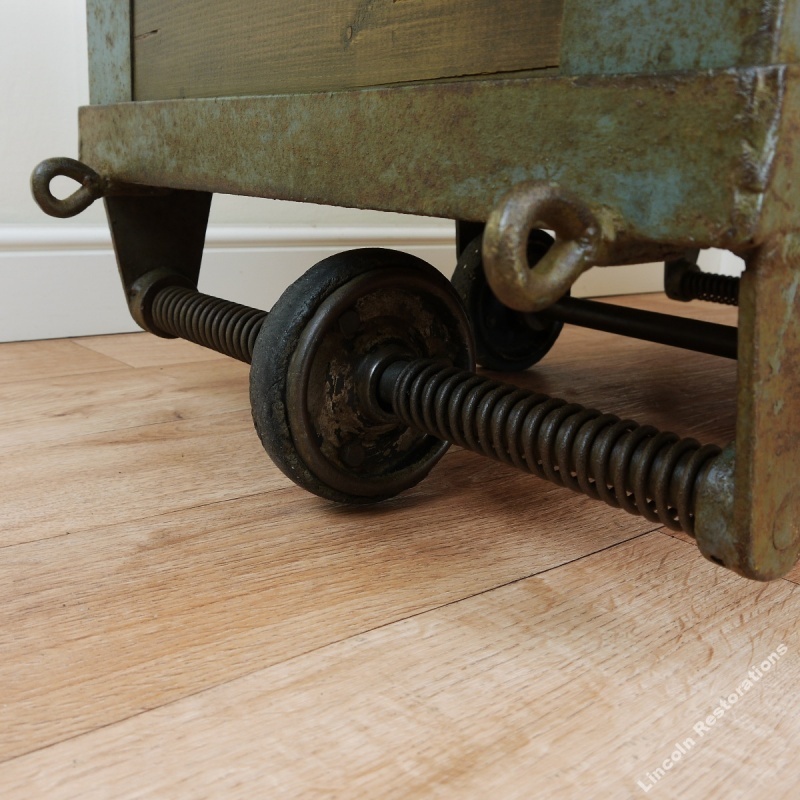 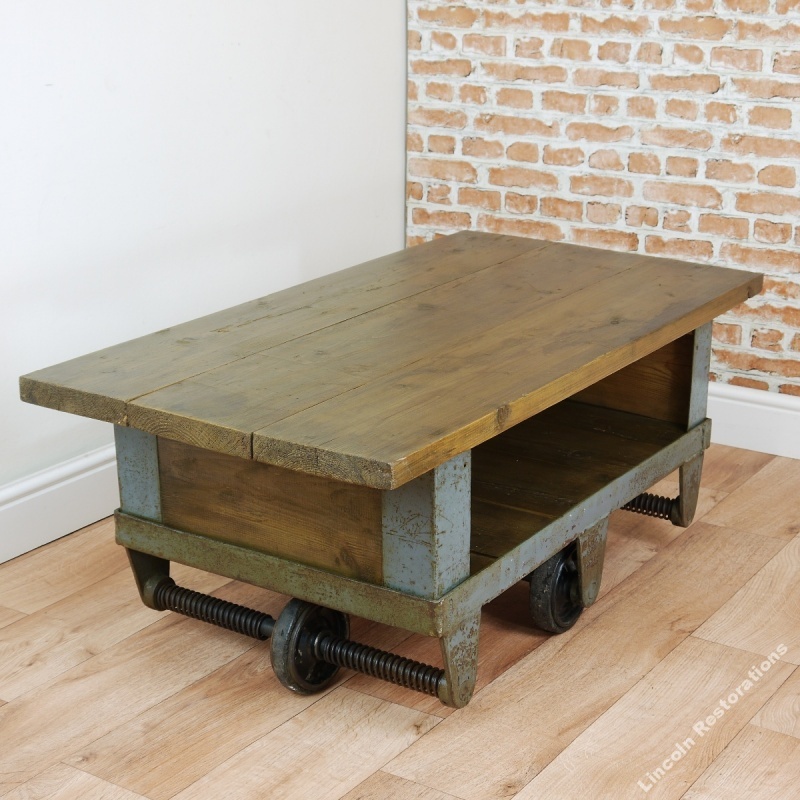 Vintage Industrial Upcycled Trolley Coffee Table. 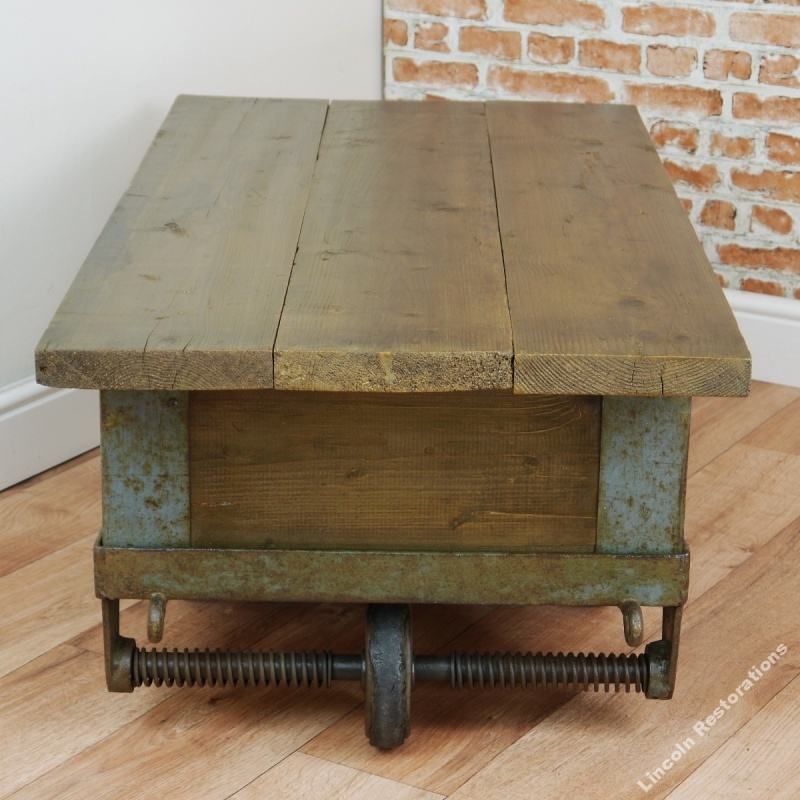 A fantastic upcycled and unusual coffee table. 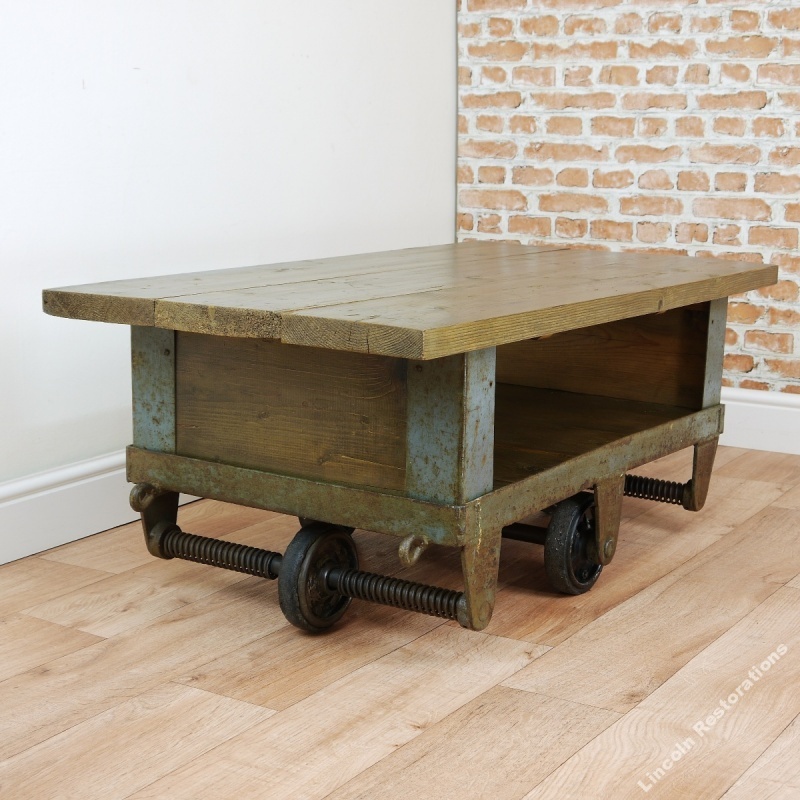 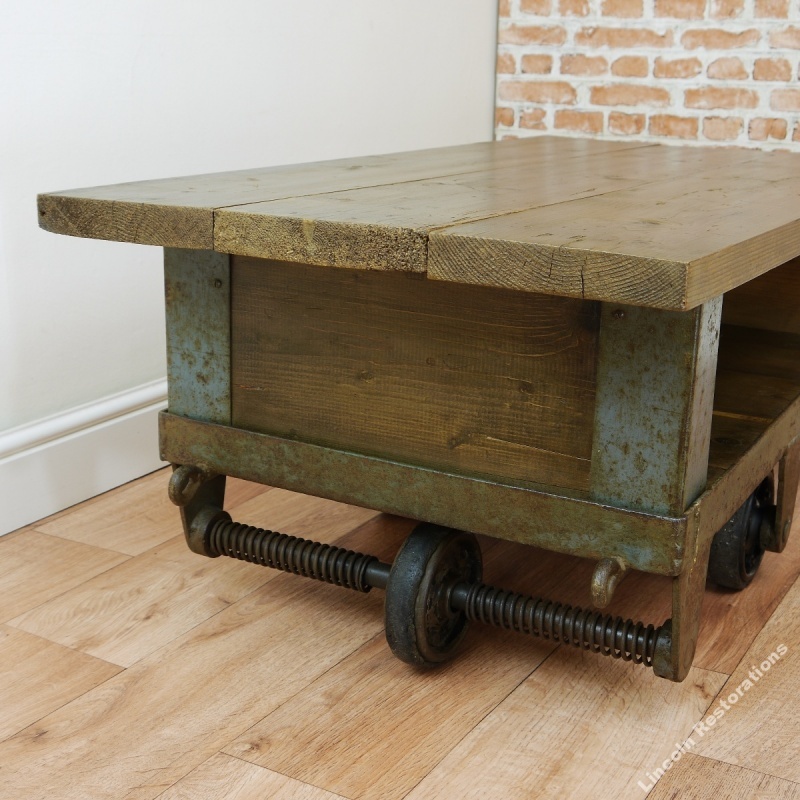 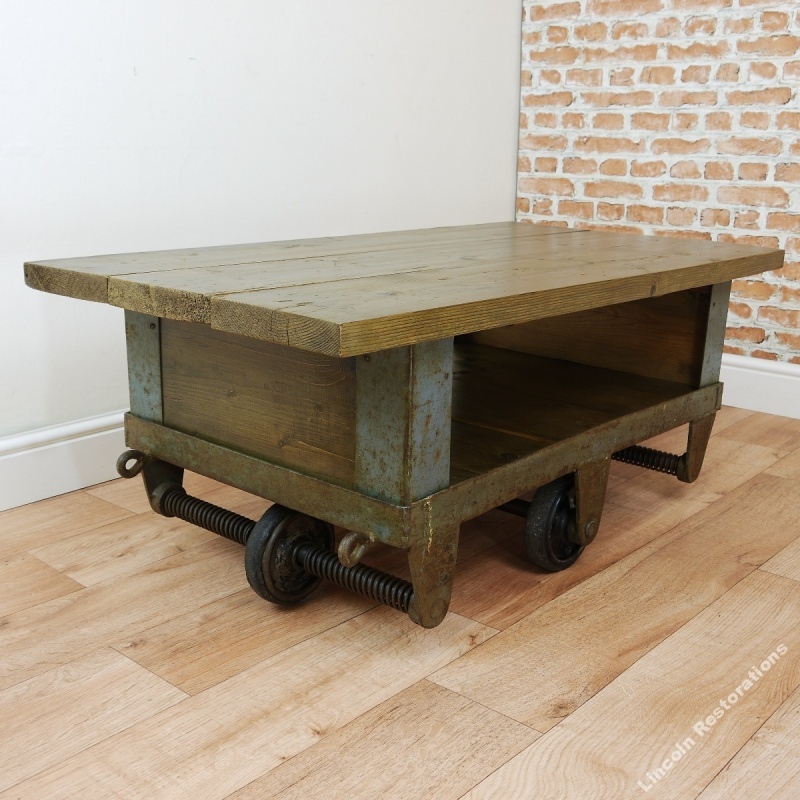 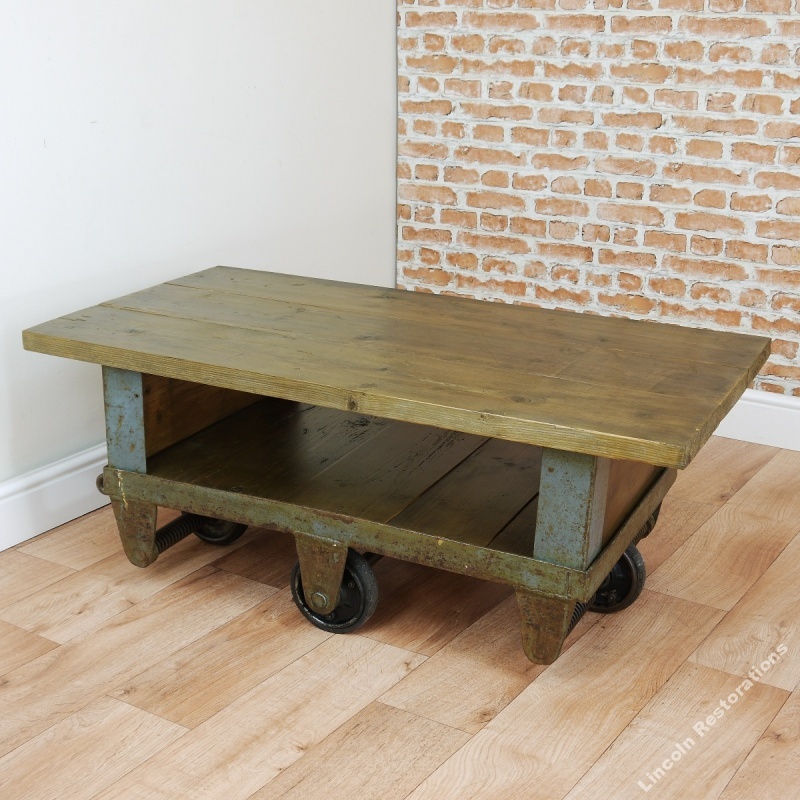 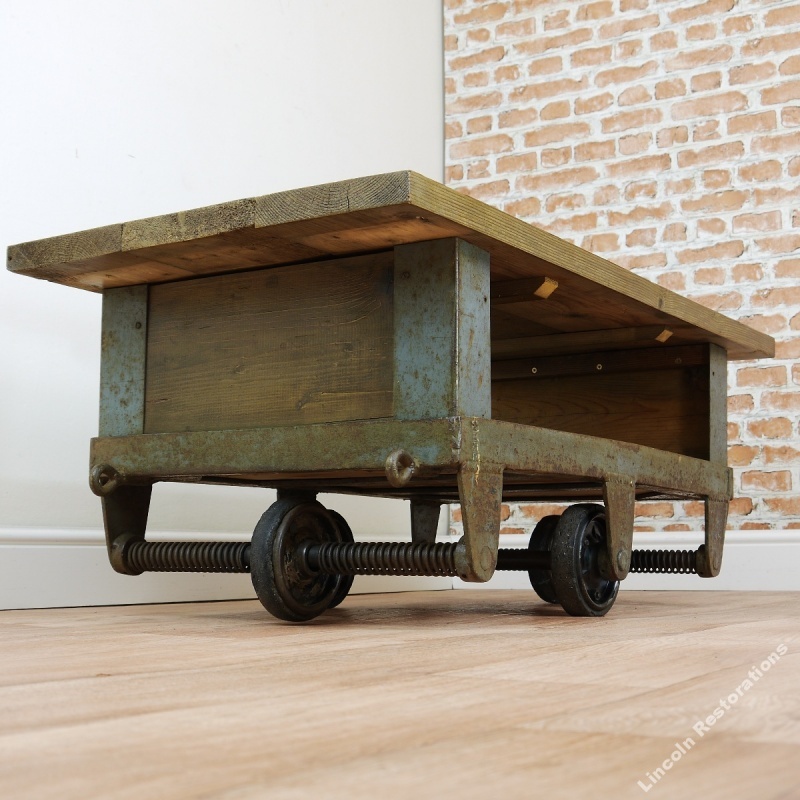 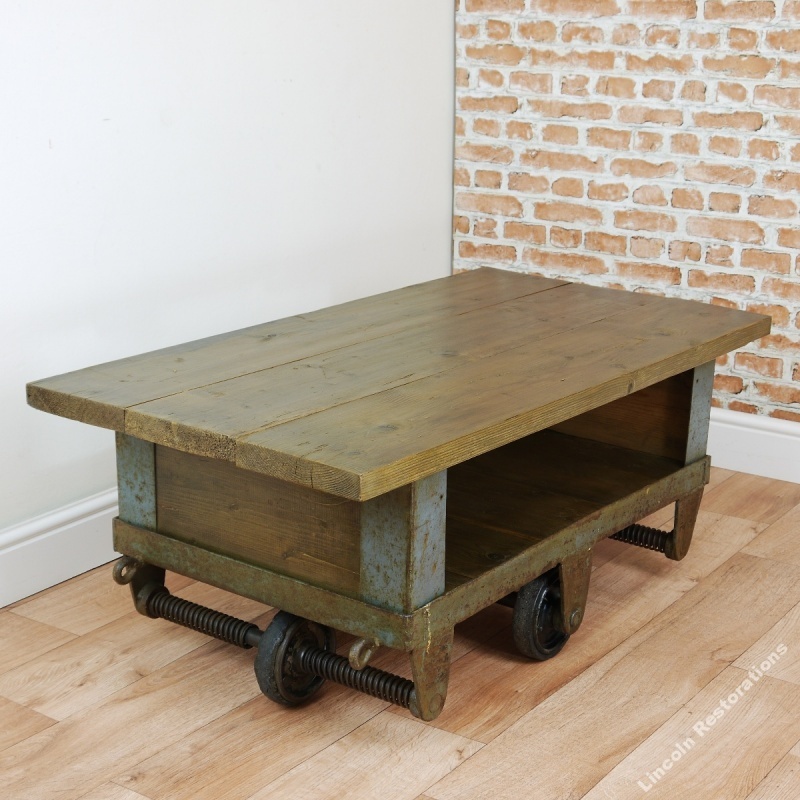 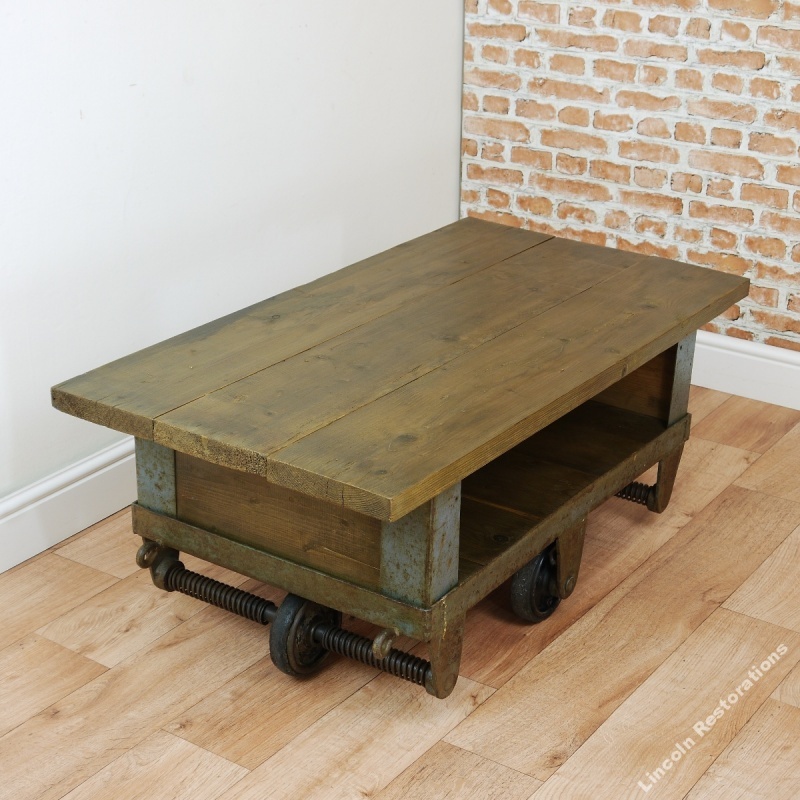 This is an impressive upcycled industrial trolley which we have reconfigured into the most unusual and fantastic coffee table in the much sought after industrial style. 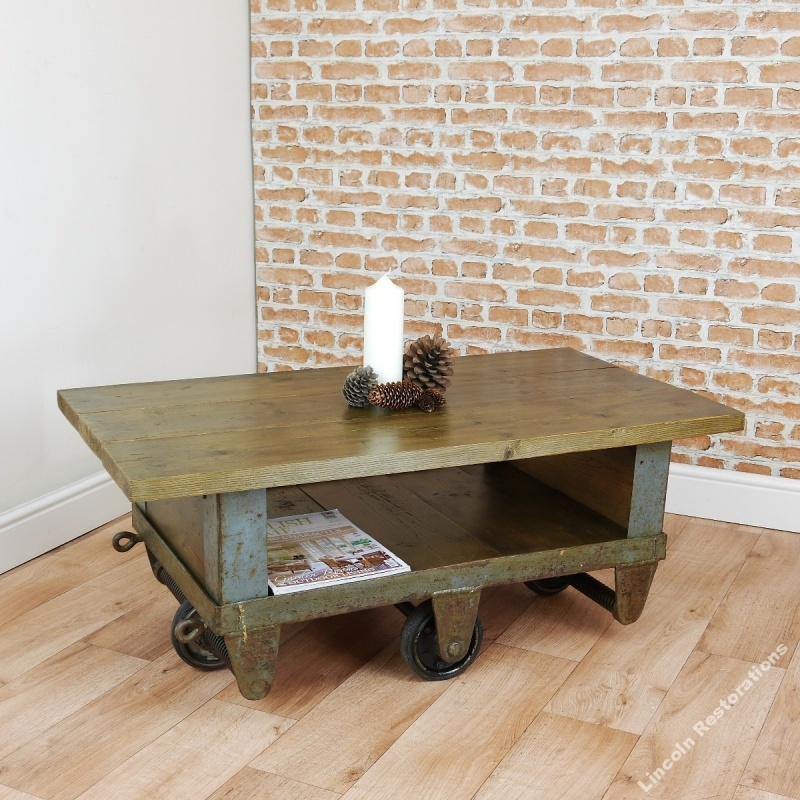 This heavy-duty table has a lovely 3 plank substantially thick weathered pine top featuring a lower shelf which is ideal for magazines and newspapers. 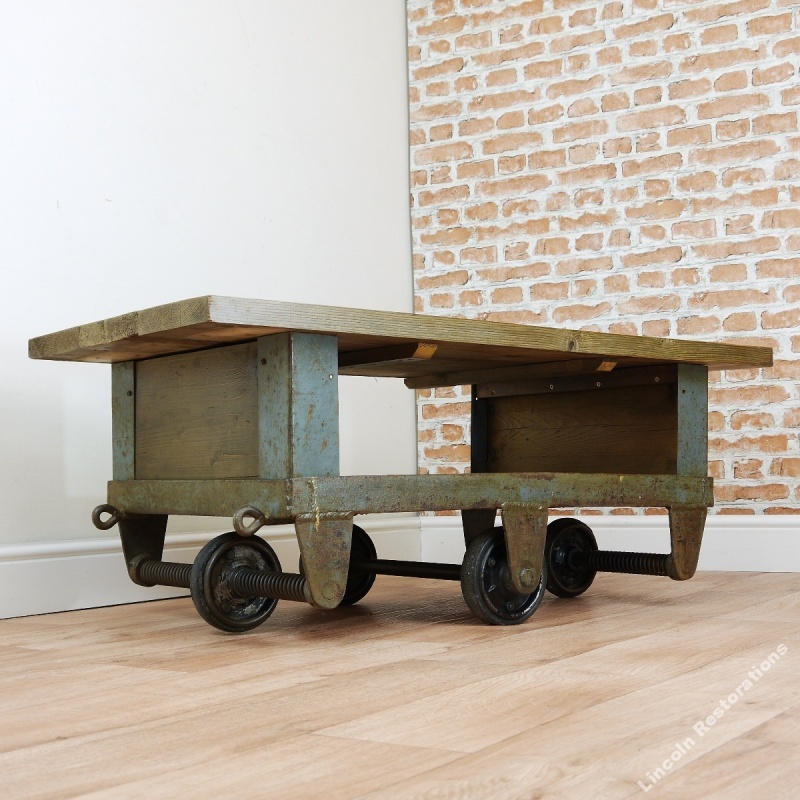 The metal base of this trolley was originally fabricated to be an engineers mobile tool chest in a large factory in around the 30's to 40's and has evidently seen many years of service from the lovely wear. 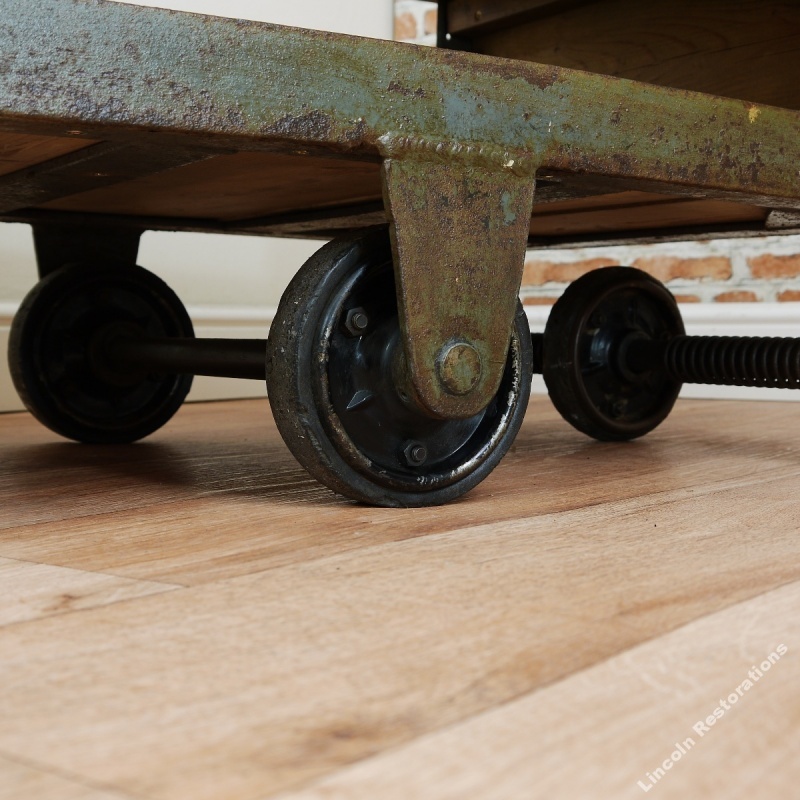 The metal base has large central bogey wheels for easy movement with 2 balancing outer wheels which allows the table to turn easily, this means to avoid rocking you may need to place small packing under the 2 outer wheels. 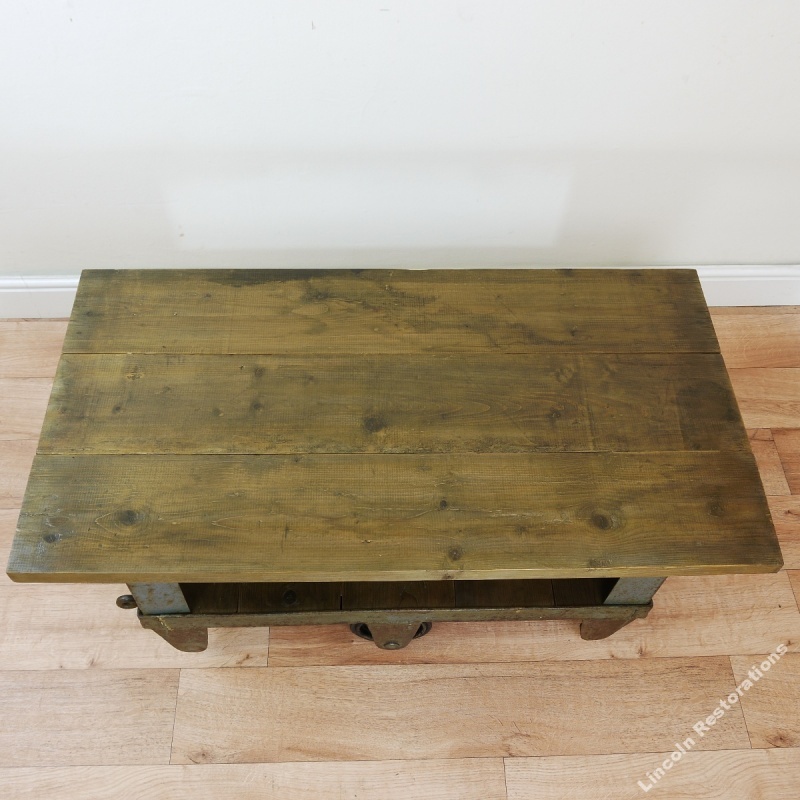 We have just cleaned the metal and carefully waxed this item to preserve and protect the table whilst giving it a lustrous natural sheen. 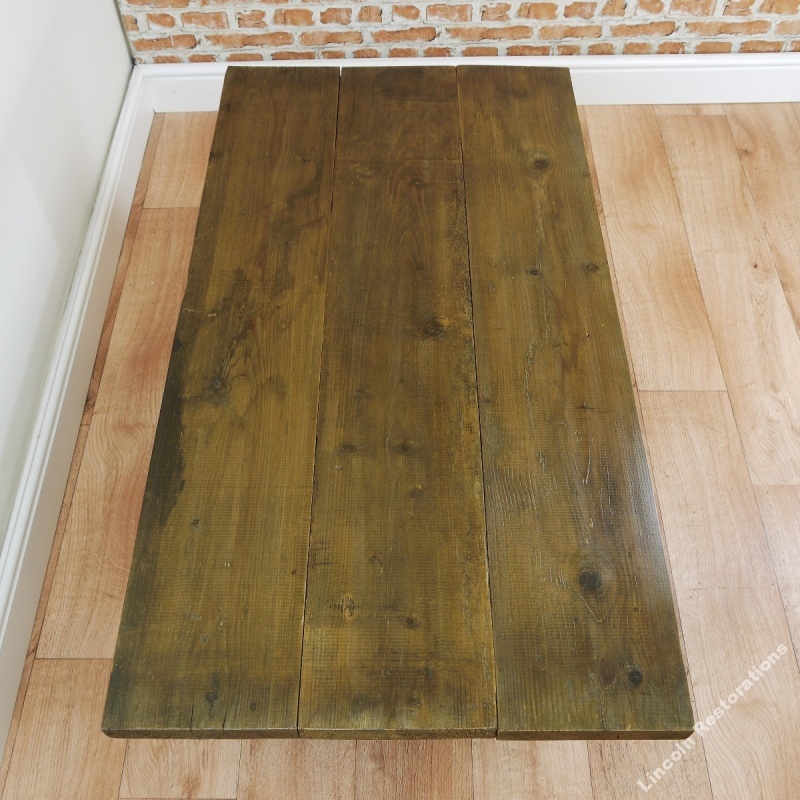 The wax finish is also one of the most durable finishes if built up like this one as most marks and scuffs can be buffed out or slightly more severe ones may be removed by adding more furniture wax. 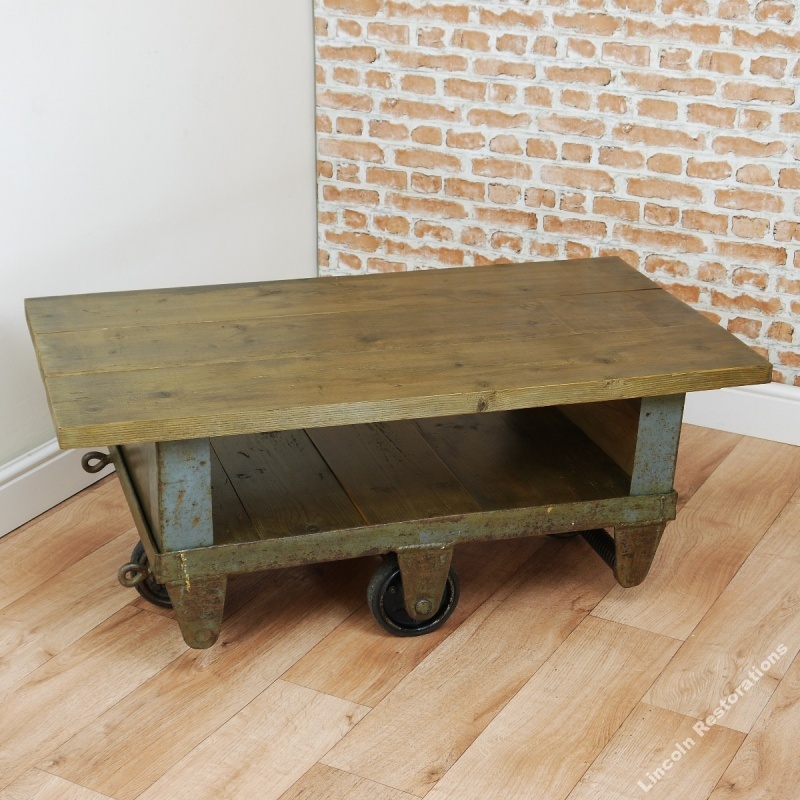 Please note; This table is very heavy and weighs 54kg so please bear that in mind and is a 2 person lift but can obviously be wheeled around easily. 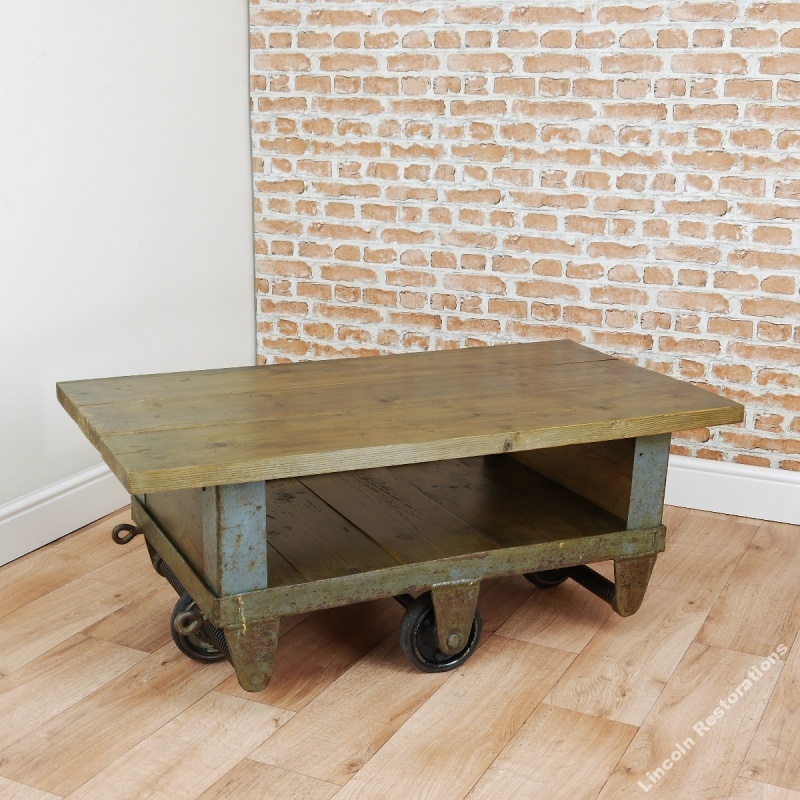 This item is in a lovely condition for its age as shown in the photographs below however being a vintage item of this age there are obviously many marks, scratches and dents which we feel adds charm and character to the piece.